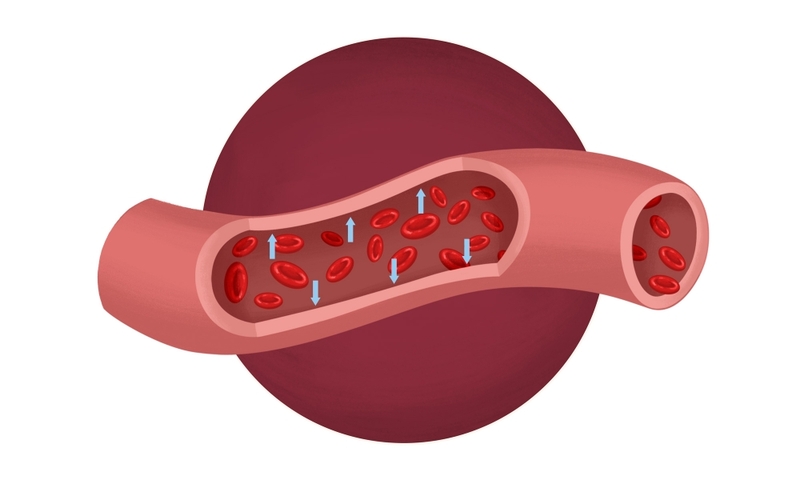 Blood travelling through an artery creates pressure against its walls (blue arrows). The causes of hypertension can be divided into two main types. Primary hypertension, also known as ‘essential hypertension’, has no specific underlying cause. It tends to develop slowly over many years. Most people with hypertension do not show any signs or symptoms, even when blood pressure readings are extremely high. Others may experience dull headaches, dizzy spells or nosebleeds. To diagnose hypertension, your blood pressure will be measured by your doctor using an inflatable arm cuff, called a blood pressure monitor. As the heart pumps blood through your arteries, your blood pressure peaks (known as ‘systole’) and falls as your heart relaxes (known as ‘diastole’). The reading of your blood pressure is measured in millimetres of mercury (mm Hg) and has two numbers, the systolic (upper reading) and diastolic (lower reading) pressure. Your blood pressure may be checked on two separate visits before you are diagnosed with hypertension. 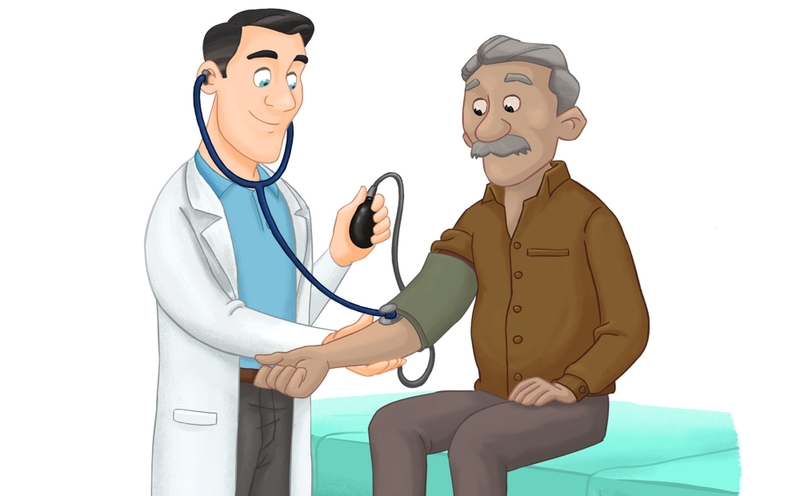 Alternatively, your doctor may advise you to keep a record of your blood pressure readings taken at home using an automated monitor, or recommend an ambulatory monitor, to get a more accurate overview of your blood pressure on a daily basis. This may be done because your blood pressure can be artificially high when it is checked in a medical clinic, known as 'white coat syndrome', for a number of reasons, such as anxiety. Other factors that can increase your blood pressure and are best to avoid at least an hour before having your blood pressure checked, include caffeinated drinks (such as coffee and tea), smoking cigarettes and strenuous physical activity. Blood pressure readings not only help diagnose hypertension, but they can also help assess its severity. Calcium-channel blockers - these help to relax blood vessels, therefore allowing blood to flow more freely. Examples of calcium-channel blockers include amlodipine and diltiazem. Resistant hypertension refers to blood pressure that is resistant to treatment. This means that your hypertension remains after taking at least three different types of medications, so you may need four or more different types of antihypertensive medications to control it. Hypertension can lead to a stroke by causing hardening of the arteries. 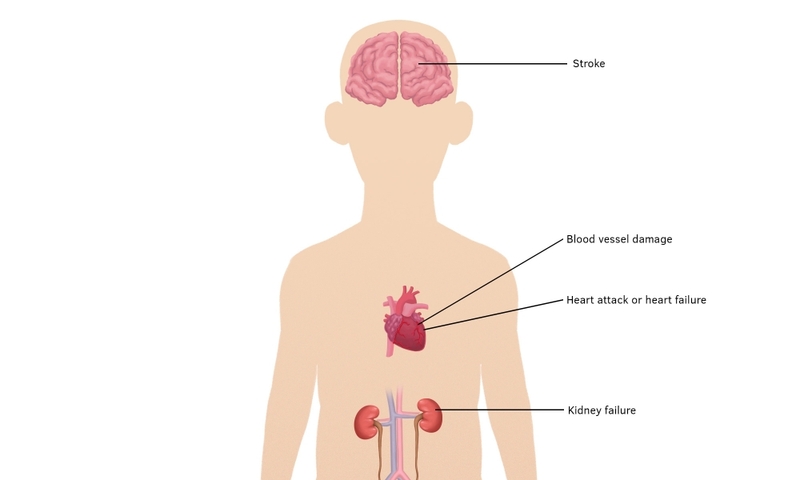 A stroke occurs when an artery in the brain is blocked or ruptured. This causes brain cells to be starved of oxygen and die. A stroke can sometimes be fatal. Hypertension can also lead to a heart attack by causing hardening of the arteries. A heart attack is caused by a sudden stoppage of blood flow to your heart when a clot blocks one of your coronary arteries. If the artery is not unblocked quickly, heart muscle cells that are supplied blood from that artery will begin to die. Any damage that is done is permanent, as these cells cannot be replaced. It is a serious medical emergency. Some heart attacks are fatal, or can leave you with chronic health issues, while others see you make a full recovery after treatment. Hypertension makes your heart work harder than it needs to. Over time, as your heart pumps blood against the higher pressure in your vessels, the heart muscle thickens. The thickened heart muscle may eventually not be able to pump enough blood to meet the requirements of your body, which can lead to heart failure. High blood pressure for a sustained period of time can cause your blood vessels to bulge and weaken, forming an aneurysm. If an aneurysm ruptures, it may be life-threatening. Hypertension can lead to thickened, narrowed or torn blood vessels in the eyes, resulting in vision loss. Hypertension can lead to weakened and narrowed blood vessels in your kidneys. If this occurs, your kidneys might not work properly, leading to chronic renal failure. The prognosis for hypertension is generally good if it is detected early and managed effectively. If hypertension is left untreated it can lead to many serious, yet potentially preventable, medical conditions. A healthy lifestyle is recommended to help prevent you developing hypertension. This could involve eating healthy foods, exercising regularly, reducing stress, maintaining a healthy weight, quitting smoking and reducing your alcohol and salt intake. It is recommended that you have your blood pressure checked regularly by your doctor to ensure you do not have hypertension.